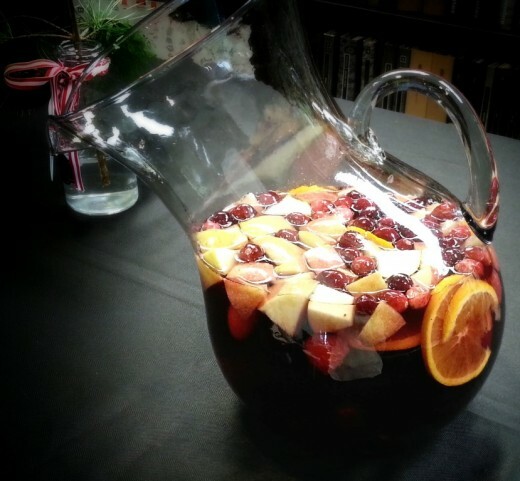 Looking for a great drink to serve at a Holiday get-together? 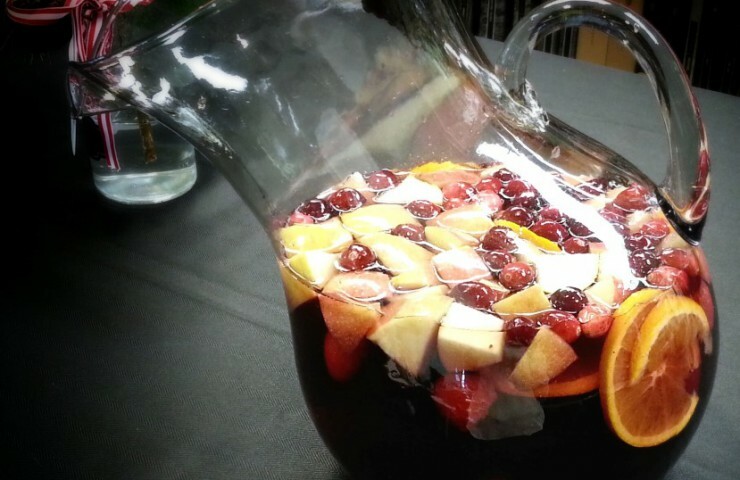 This sangria not only looks very festive, it tastes great and is incredibly easy to throw together before an event. It’s not as sweet as other sangrias I’ve tried, yet it provides a great fruit flavor that balances the wine and rum perfectly. You’ll want to mix this up at least 2 hours (longer if you can!) before serving, so the ingredients can combine and the fruit can absorb the great flavors. 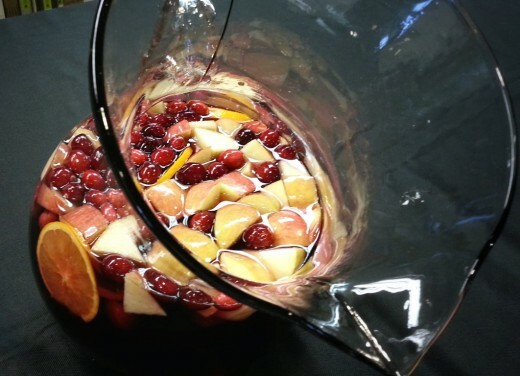 In a large pitcher, mix 1/2 of a bottle of Chardonnay and 1/2 bottle of Riesling. Add in 3 cups of pomegranate cranberry juice and 1/2 cup of Malibu rum. Stir well. Then add in a handful of fresh cranberries, a handful of blackberries and a handful of raspberries. Slice up an orange and cut up an apple into bite-sized pieces; add both to the pitcher. Cover the pitcher with plastic wrap (or a lid if you have one) and refrigerate for 2 hours. Serve with ice and enjoy! Combine the wine, juice, and rum in a large pitcher and stir. Add in fresh fruit and let sit in the refrigerator for at least 2 hours before serving.